Horoscopes for the week of February 4–10, 2015. Aries (March 21–April 19): The Bible's Book of Exodus tells the story of the time Moses almost met God. "Show me your glory, please," the prophet says to his deity, who's hiding. "You cannot see my face," God replies, "but I will show you my back parts." That's good enough for Moses. He agrees. I hope that you, too, will be satisfied with a tantalizingly partial epiphany, Aries. I'm pretty sure that if you ask nicely, you can get a glimpse of a splendor that's as meaningful to you as God was to Moses. It may only be the "back parts," but that should still stir you and enrich you. Taurus (April 20–May 20): The archaic English word "quaintrelle" refers to a woman who treats her life as a work of art. She is passionate about cultivating beauty and pleasure and wit in everything she is and does. But she's not a narcissistic socialite. She's not a snooty slave to elitist notions of style. Her aim is higher and sweeter: to be an impeccable, well-crafted fount of inspiration and blessings. I propose that we resuscitate and tinker with this term, and make it available to you. In 2016, you Tauruses of all genders will be inclined to incorporate elements of the quaintrelle, and you will also be skilled at doing so. If you have not yet dived in to this fun work, start now! Gemini (May 21–June 20): Sufi teacher (and Gemini) Idries Shah offered this teaching: "They say that when Fortune knocks, you should open the door. But why should you make Fortune knock, by keeping the door shut?" Let's make this your featured meditation, Gemini. If there is anywhere in your life where proverbial doors are shut — either in the world outside of you or the world inside of you — unlock them and open them wide. Make it easy for Fortune to reach you. Cancer (June 21–July 22): Many Cancerians harbor a chronic ache of melancholy about what they're missing. The unavailable experience in question could be an adventure they wish they were having or an absent ally they long to be near or a goal they wish they had time to pursue. That's the bad news. The good news is that you can harness the chronic ache. In fact, it's your birthright as a Cancerian to do so. If you summon the willpower to pull yourself up out of the melancholy, you can turn its mild poison into a fuel that drives you to get at least some of what you've been missing. Now is a favorable time to do just that. Leo (July 23­–Aug. 22): How will the next chapter of your story unfold? I suspect there are two possible scenarios. In one version, the abundance of choices overwhelms you. You get bogged down in an exciting but debilitating muddle, and become frazzled, frenetic, and overwrought. In the other possible scenario, you navigate your way through the lavish freedom with finesse. Your intuition reveals exactly how to make good use of the fertile contradictions. You're crafty, adaptable, and effective. So which way will you go? How will the tale unfold? I think it's completely up to you. Blind fate will have little to do with it. For best results, all you have to do is stay in close touch with the shining vision of what you really want. Virgo (Aug. 23–Sept. 22): To hell with my suffering, wrote Arthur Rimbaud in his poem "May Banners." I suggest you make that your mantra for now. Anytime you feel a sour thought impinging on your perceptions, say, "To hell with my suffering." And then immediately follow it up with an expostulation from another Rimbaud poem, "It's all too beautiful." Be ruthless about this, Virgo. If you sense an imminent outbreak of pettiness, or if a critical voice in your head blurts out a curse, or if a pesky ghost nags you, simply say, "To hell with my suffering," and then, "It's all too beautiful." In this way, you can take advantage of the fact that you now have more power over your emotional pain than usual. Libra (Sept. 23–Oct. 22): "I like people who unbalance me," says Irish writer Colum McCann. Normally I wouldn't dream of encouraging you to make the same declaration, Libra. My instinct is to help you do everything necessary to maintain harmony. But now is one of those rare times when you can thrive on what happens when you become a bit tilted or uneven or irregular. That's because the influences that unbalance you will be the same influences that tickle your fancy and charge your batteries and ring your bell and sizzle your bacon. Scorpio (Oct. 23–Nov. 21): The African Association was a 19th-century British group dedicated to exploring West Africa. Its members hoped to remedy Europeans' ignorance about the area's geography. In one of the Association's most ambitious projects, it commissioned an adventurer named Henry Nicholls to discover the origin and to chart the course of the legendary Niger River. Nicholls and his crew set out by ship in their quest, traveling north up a river that emptied into the Gulf of Guinea. They didn't realize, and never figured out, that they were already on the Niger River. I'm wondering if there's a comparable situation going on in your life, Scorpio. You may be looking for something that you have already found. Sagittarius (Nov. 22–Dec. 21): Richard P. Feynman was a brilliant physicist who won a Nobel Prize in 1965 for his pioneering work in quantum electrodynamics. He also played the bongo drums and was a competent artist. But excessive pride was not a problem for him. "I'm smart enough to know that I'm dumb," he testified. "The first principle is that you must not fool yourself — and you are the easiest person to fool." I suggest you adopt him as your role model for the next two weeks, Sagittarius. All of us need periodic reminders that we've got a lot to learn, and this is your time. Be extra vigilant in protecting yourself from your own misinformation and misdirection. 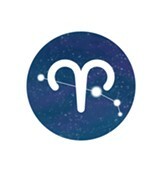 Capricorn (Dec. 22–Jan. 19): Food connoisseur Anthony Bourdain has a TV show that enables him to travel the globe indulging in his love of exotic cuisine. He takes his sensual delights seriously. In Charleston, South Carolina, he was ecstatic to experience the flavorful bliss of soft-shell crab with lemon pasta and shaved bottarga. "Frankly," he told his dining companion, "I'd slit my best friend's throat for this." Bourdain was exaggerating for comic effect, but I'm concerned you may actually feel that strongly about the gratifications that are almost within your grasp. I have no problem with you getting super-intense in pursuit of your enjoyment. But please stop short of taking extreme measures. You know why. Aquarius (Jan. 20–Feb. 18): You may sometimes be drawn to people or places or ideas long before they can give you their gifts. Although you sense their potential value, you might have to ripen before you'll be ready to receive their full bounty. Here's how author Elias Canetti expressed it: "There are books, that one has for twenty years without reading them, that one always keeps at hand, yet one carefully refrains from reading even a complete sentence. Then after twenty years, there comes a moment when suddenly, as though under a high compulsion, one cannot help taking in such a book from beginning to end, at one sitting: it is like a revelation." I foresee a comparable transition happening for you, Aquarius. Pisces (Feb. 19–March 20): The Leaning Tower of Pisa is eight stories high, including its belfry, and tilts sideways at a four-degree angle. When builders started construction back in 1173, they laid a weak foundation in unstable soil, and the building has never stood straight since then. And yet it is the most lucrative tourist attraction in the city of Pisa, and one of the top ten in Italy. Its flaw is the source of its fame and glory. What's the equivalent in your world, Pisces? Now is a favorable time to take new or extra advantage of something you consider imperfect or blemished.